Pammy Blogs Beauty: New From Michael Todd: The Soniclear Petite! New From Michael Todd: The Soniclear Petite! Guess What? Michael Todd has just released a NEW Soniclear: The Soniclear Petite Antimicrobial Sonic Skin Cleansing Brush-Tutti Frutti by Michael Todd! This NEW Soniclear Petite is an ULTA exclusive. I just love the convenience of shopping at ULTA. I can get all of my beauty product shopping done in one place. From drugstore-level products, to high end makeup, to luxury and specialty/boutique or organic skincare...ULTA really does have it all. Now I can even find Micheal Todd products at ULTA Beauty! I have been a fan and user of the Soniclear brushes from Michael Todd for quite some time. So, I am super excited about the NEW Soniclear Petite Antimicrobial Sonic Skin Cleansing Brush! It is nice to now have a smaller and travel-friendly version of my favorite sonic brush! Have you experienced Sonic Cleansing? There really is nothing quite like the clean feeling that you get from a sonic cleansing brush! The best part? 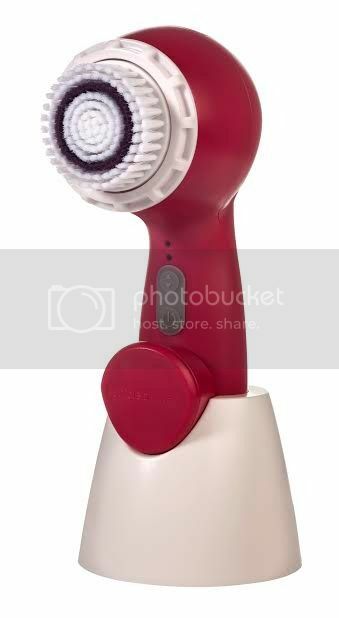 The Soniclear Petite Antimicrobial Sonic Skin Cleansing Brush-Tutti Frutti by Michael Todd has some really unique features that set it aside from other sonic cleansing brushes on the market. The Soniclear Petite by Michael Todd is the first sonic cleansing brush on the market with built-in antimicrobial protection! The Soniclear Petite brush's proteciton inhibits up to 99.9% of stain and odor causing bacteria. That is impressive as the drawback to sonic cleansing brushes is the possibility of bacteria on your brush negatively impacting your skin. Well, you don't have to worry about that with this brush! So, your brush stays fresh and bacteria-free longer and you don't have to replace the brush heads quite so frequently. You can get up to 6 months on each brush head (compared to about 3 months with competitor brushes). I have somewhat sensitive skin. So, sonic-type skincare brushes work best for me when I use them about every other day. If I use them too frequently, I get irritation brushes. If you do not have sensitive skin, you can use this device up to twice a day. Because of my sensitive skin type, I use my Soniclear Petite Antimicrobial Sonic Skin Cleansing Brush-Tutti Frutti by Michael Todd every other day in the evenings. First, I wet my face and wet the brush. Then I apply one of my favorite cleansers on my face. Next, I turn the brush on and then gently move the brush across my face. The sonic waves micro-massage my face while removing dirt, perspiration, and makeup. I love the super clean feel that I get with this brush! My skin is so soft and smooth when I use this brush consistently. The Soniclear Petite provides excellent exfoliation which allows my skincare products to absorb better and work better for my skin. Plus, I love that the brush has anti-microbial protection! I don't have to worry about bacteria build up on my brush and I don't have to replace the brush head as frequently as other skincare brushes that I have used in the past. 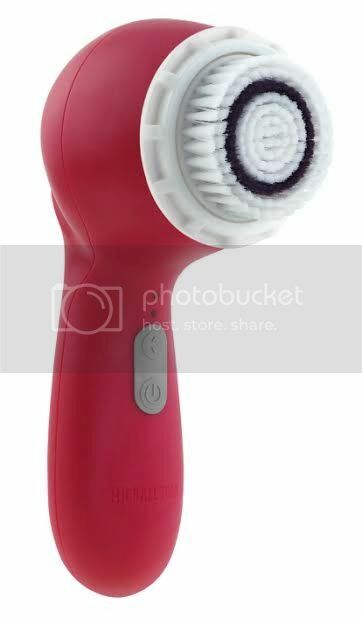 If you are looking for a fantastic and travel-friendly anti-microbial sonic brush, be sure to check out the Soniclear Petite Antimicrobial Sonic Skin Cleansing Brush-Tutti Frutti by Michael Todd! Yeah, nothing beats that smooth super clean feeling that you get from using a cleansing brush.